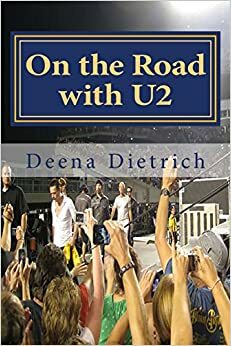 Since I have finished reviewing the 360 tour and there are no current U2 tours for me to be on the road blogging about, I will be blogging about U2 anniversaries and special occasions until I have more information about my book being published. 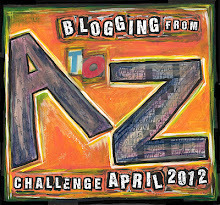 I signed up for the Blogging from A to Z April Challenge. I will be blogging everyday, except Sundays, about my favorite U2 songs A to Z. I will start on April 1st writing about my favorite U2 song that begins with the letter A, then April 2nd I will write about my favorite U2 song that begins with the letter B and so on everyday except Sundays until I end on April 30th writing about my favorite U2 song that begins with the letter Z. It will be 26 of my favorite U2 songs in 26 days. I will also be blogging A to Z on my DeenasDays blog about my 26 favorite things. Welcome to the A to Z Challenge – sounds like you are all set with 26 U2 songs lined up for us! (as well as your favourite things on your other site). Busy, busy! Have fun and enjoy meeting some great bloggers along the way. Thank you! I’m looking forward to it! Thank you. You must see U2 on the next tour, but until then read my blog for a recap of the last five. Thank you! U2 doesn’t have a song that begins with Q, but they did cover Dancing Queen so I may have to cheat a bit.